For anyone who remembers the continuity error nightmare that was X-Men Origins: Wolverine, you’ll equally remember that movie’s awful incarnation of Deadpool. Casting-wise Ryan Renolds was a great choice; but how can you have the “Merc with a Mouth” when you literally take away his mouth? In light of this – and the post credits scene – it was revealed that a stand-alone Deadpool film would actually be in the works. Well over the weekend, some old CGI test footage got leaked to show what a standalone Deadpool movie could be like. Ryan Renolds returns as Deadpool in a minute and a half clip that is arguably better than the entire X-Men Origins: Wolverine film. In fact, this simple footage has left everyone with one huge question on their minds: Why hasn’t this film been made yet? This footage was shot originally back in 2012 and brilliantly showcases everything that Deadpool is famous for. Sure he’s one of the most unhinged and chaotic characters of any comicbook universe, but what really sets him apart is his love of constantly breaking the 4th wall – speaking directly to the audience – which is a film mechanic very few have been able to master aside from Mel Brooks. The other side of Deadpool is of course his even balance of action and humor – as you can tell by the ‘Merc with a Mouth’ title – which we see perfectly displayed in the SUV fight scene. Between Soap Opera references, commenting on the “rich Corinthian leather”, and comically getting his head smashed like a cartoon character there is so much to enjoy. The real problem for a Deadpool film though is ratings. Despite PG-13 starting to incorporate a lot of things, Deadpool in all honesty would have to be rated R. Another problem could be his lack of synergy with other established Cinematic Universes, which seems to be the going trend now a days with superhero films. Though in all honesty, a Deadpool film would be less of a ‘superhero’ film and more like a Django Unchained. It’s not going to be a kid friendly movie or spawn an aisle of toys at Target; but that doesn’t mean it won’t be a hit. Hopefully FOX catches wind of all the buzz around this simple test footage and realizes that they have a potentially huge cult classic film on their hands. Update: The grainy footage was replaced with the new HD released version. Thanks CinemaBlend! 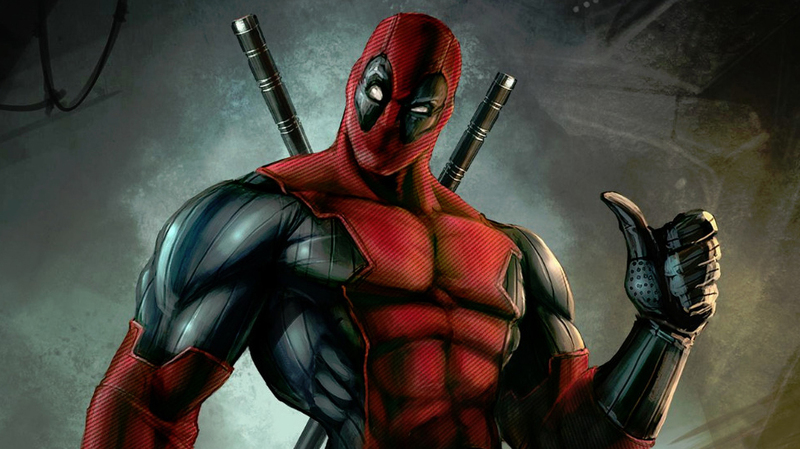 Deadpool Movie Confirmed For 2016 Release – WE DID IT!